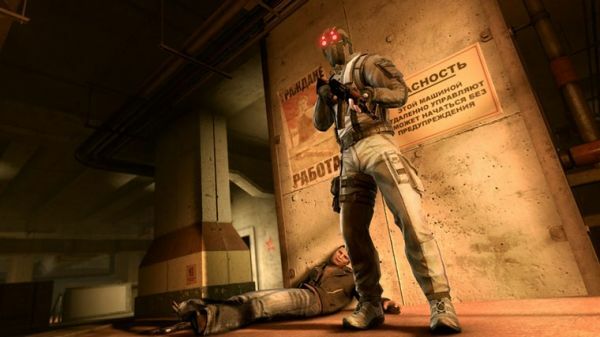 Ubisoft's Splinter Cell Conviction is certainly shaping up to be quite the exciting co-op title. While the game's main story mode is single player only, the developers are offering quite a few co-op modes for us co-op fans to enjoy, including an entire co-op campaign that sounds like it may run between 6 and 8 hours in length. Well the news just keeps getting better as 1Up.com posted a Developer Diary with Patrick Redding, whom you may remember from last week's news post about how co-op is changing the games industry. Though the video is rather brief, Patrick does bring up a few new points that had us intrigued. Now, unless we're mistaken, Patrick mentions splitscreen AND system link co-op at around the 2:05 mark in the video; something we haven't heard previously about the game and something we're sure will make many of you happy out there. Patrick also briefly touches upon the story in the video, discussing how the name of the co-op campaign, "The Prologue," is an accurate descriptor as it's intended to take place and set-up some of the events in the game proper. Is it April 13th yet?